As the years progress, the competitiveness in every industry continues to grow at an alarming level. During such crises, most entrepreneurs turn to designing creative websites to reach their target audience on a larger scale. However, this might just become your biggest mistake, especially if you are involved in the taxi industry. The key to building a massive user base and sustainable taxi business is to recognise your customer behaviour, their preferences and specific demands. The mobile advancement has disrupted the taxi industry, paving the way for the gradual decline of call taxi booking. With the emergence of Uber, users can now hire a cab within seconds. And Uber being a native app, taxi owners have now realised the potential of Uber clone mobile apps, and not a web application. The modern-day customers strive for getting things done in less time and in the simplest way possible. 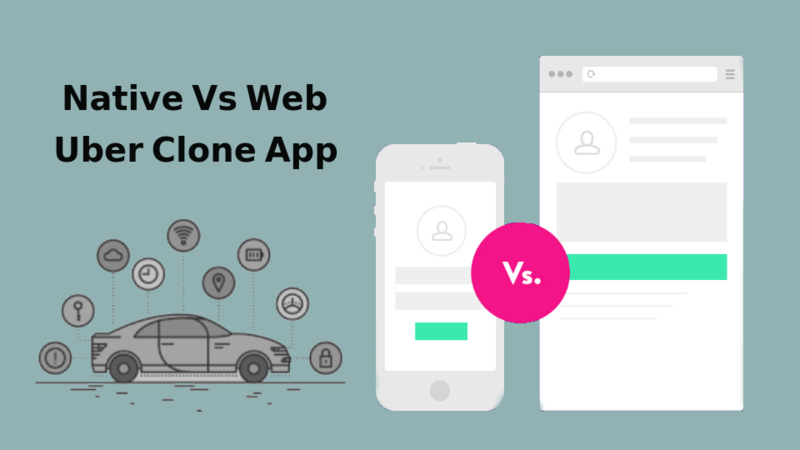 Uber clone apps serve this purpose to a tee as native apps are built for speed and efficiency. Unlike web apps that can be accessed from laptops and desktops, users can book a taxi on their native Uber clone mobile application from anywhere and at any time. GPS or Global Positioning System is the defining feature of a successful app like Uber. Where web-based applications pick up your location based on your IP address, native apps can detect your precise location. Native apps offer the major advantage of dispatching the taxi driver to exactly where you are by using the GPS feature on your mobile phone. Apart from this, native applications also harness features like SMS notifications to provide a better user experience. Apps like Uber have become a massive success owing to its ability to provide real-time information instantly. From viewing the nearby available cabs, tracking the driver location to the estimated time of arrival, the native applications are capable of providing crucial information through instant updates. Web applications have limited scope when it comes to using features for customer engagement. Uber clone mobile apps can help taxi businesses send custom notifications for improving communication. Also, features like driver rating, feedback, emergency button, discount coupons and more, can be integrated to build improved experience and customer loyalty. Surviving the taxi industry at this juncture takes creative efforts, quality standards and consistency in user engagement. Build a better chance of battling the massive competition by creating your very own native application.